Want to know what it takes to have a successful retirement plan? Using data from survey responses and retirement profiles, NewRetirement has found a few interesting traits shared by people who use the Retirement Planning Calculator to create a successful plan. This is very admirable, but is not entirely normal. Data from survey after survey has found that the majority of Americans do not have any kind of written retirement plan — certainly not one that is comprehensive and detailed. In fact, most people spend more time planing a vacation or deciding which TV to buy than they spend planning the next 15-30 years of their lives. Here are 8 Tips for Creating a Useful Retirement Plan. Out of 4,000 responses, travel is mentioned as a retirement goal by a full 75% of NewRetirement users. While no single other retirement goal is anywhere near as popular — spending time with family or grandkids, volunteering, pursuing hobbies, being able to leave behind a financial legacy, staying active and healthy and just making sure the bills get paid are other common goals — with about 10-30% of users listing one or more of these pursuits as a goal for their retirement. In fact, successful retirees seem to want it all: mental, physical, social and financial well being. Many of the most successful NewRetirement users would probably count retirement planning as one of their hobbies. They consult with financial advisors, read books and magazines, join online retirement planning or investing communities, talk about it with friends and family and they of course use online retirement calculators. While many of the NewRetirement users consider themselves to be “Do it Yourself” (DIY) planners, many also use a financial advisor. In fact, 73% of survey respondents have worked with a financial advisor and nearly 75% of those respondents trusted the advice they received. However, 50% only found the advice to be “somewhat” helpful. Many users also appreciate that a financial advisor manages all of the details and to dos for keeping the investments balanced and on target. Is using a financial advisor something you should do? Take this quick financial advisor suitability quiz and see if a financial advisor is something you should consider. Survey participants were asked about the best retirement planning decisions they have made. Twenty six percent said that saving and investing early in their career was the best thing they did. Living below their means and creating an overall financial plan were also critical to success. Starting to save and invest when you are young is indeed a good move. However, it really is never too late — especially if you are using tax advantaged catch up contributions after you turn 50. The second best retirement planning decision? Twenty one percent credit living within or below their means as a secret to success. As one respondent said: “Our wants are unlimited, our means to pay for them are. Figure out what you really need, what’s really important to you, and spend your time and money on that. You’ve got to defer some of your wants to build for the future.” Here are 20 Ways to cut Your Retirement Budget and 8 Ways to Save Thousands More Each Year. Creating a detailed retirement plan was a close third as the best retirement planning decision with 19% of the votes. The good news about this is that it is never too early or too late (some people don’t even create a retirement plan until after they are retired) to get this done. Whether it was investing too conservatively, too aggressively or simply not paying enough attention, many of the most successful retirement planners — 27% — have regrets about investments — citing “not investing appropriately” as their biggest retirement planning regret. Worried about your investments? 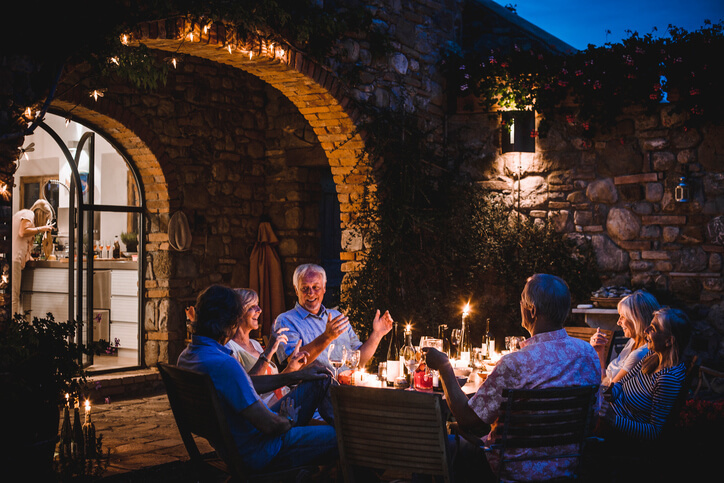 Here are 6 Simple Tips for How to Invest for Retirement or, explore the 5 personal finance rules you should break for a wealthier and more secure retirement. The NewRetirement retirement planning calculator is a comprehensive and detailed tool designed for anyone who is worried about their retirement — especially people nearing the end of their careers or just beginning this stage of life. It is easy to get started, see a personalized assessment and find ways to strengthen your plan. Best of all, your data is always saved so it is easy to try different scenarios, make adjustments and manage your finances moving forward. This tool has been named a best retirement calculator by the American Association of Individual Investor’s (AAII), Forbes Magazine, The Center for Retirement Research at Boston College, MoneyBoss, CanIRetireyet and many more. Ready to uncover the secrets to your successful retirement plan?